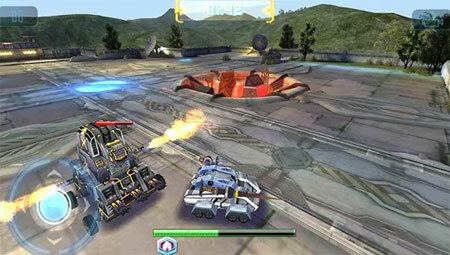 Robot Crash Fight is an awesome 3D robot combat competition game from Words Mobile. Design, construct and operate your remote-controlled armed and armored robots to fight in an arena combat elimination tournament. Build the epic roster of powerful, battle hungry robots and crash your enemies. Equip your machine with incredible weapons and upgrade them to eliminate your opponents. Discover dozens of crazy weapons including saws, fire thrower, hammer, shocker, magnets, and more. The game features stunning high quality 3D graphics and realistic animations. If you get stuck in the game, check out the video walkthrough and gameplay for the game. This entry was posted in Android Games, iOS Games, Mobile Games, Walkthrough and tagged Robot Crash Fight Cheats, Robot Crash Fight Game, Robot Crash Fight Gameplay, Robot Crash Fight Guide, Robot Crash Fight Hints, Robot Crash Fight Review, Robot Crash Fight Solutions, Robot Crash Fight Strategy, Robot Crash Fight Tips, Robot Crash Fight Walkthrough by Marvin. Bookmark the permalink.